When your application for a credit card is denied, the first thing you should do, if you haven’t done it already, is to fetch your credit report. Today consumers can easily pull out their own credit report online instantly, without impacting the score. Once you get your credit report, analyze it closely. A credit score below 750 needs work. Low credit scores are a result of poor credit behavior in the past, like delay in paying EMIs or credit card bills, not paying the entire outstanding amount, having high debts etc. Also, look out for any discrepancies or errors in your credit report. In case you spot any, get in touch with the bureau immediately. 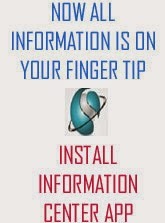 You must use your credit report as a beginning point to improve your credit score. Do your research online to understand the steps required to build a high credit score. It’s usually about good credit behavior – paying off your EMIs and outstanding credit card bills in full timely, ensuring you don’t use over 40% of your credit limit on your existing credit cards regularly, having a good balance between secured and unsecured loans, not having high outstanding debt, etc. A key factor to build your credit score is to track it regularly. Even with good credit behavior, it takes a few months before your credit score starts improving gradually. Hence, keep a check on your score every month and stay patient while building it. One of the biggest mistakes consumers make is applying for credit from the wrong lender. Each bank has their own eligibility criterion for credit cards and various types of loans. Hence, it’s important for each consumer to know the bank that may be willing to provide them credit. Consumers often apply with multiple lenders for a product. It should be noted that each of the application is recorded in your credit report as hard enquiries, and too many hard enquiries within a short space of time can make you seem ‘credit hungry’ which banks consider risky. You must use online financial marketplaces for applying with multiple credit lenders. This is considered as soft enquiries and does not have any affect in your credit score and credit card application. Marketplaces also would help you find the right bank and the right credit card, according to your eligibility and needs. 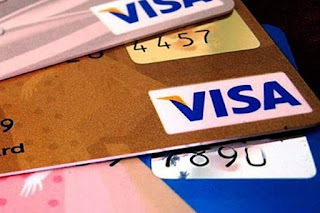 In case you need a credit card urgently, an option which you can go for is secured credit cards. Secured credit cards are issued only against your fixed deposit account with the respective bank. There is minimum documentation required for secured credit cards and they are generally issued without any hassle. The credit limit on secured cards is generally some percentage of the principal amount in the fixed deposit account. Secured credit card is an alternative to standard credit card when you have a poor credit score or when you are new to credit. A secured credit card can assist you to improve your credit profile, and make your score stronger for future applications.